ASTM A516 Grade 60 and 70 Sheets & Plates is a product standard of Bureau of Indian Standards. It specifies standards for Hot Rolled Medium and High Tensile Structural Steel. We manufacture grade 60 and 70 sheets and plates conforming to ASTM A1516 standards which has excellent notch toughness and is used in both pressure vessels and industrial boilers. 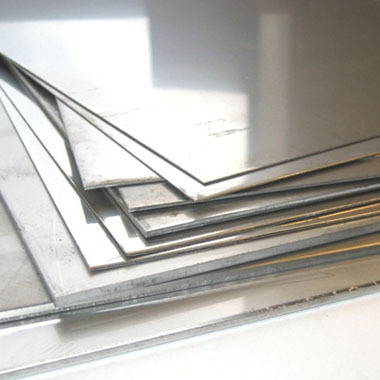 As one of the leading ASTM A516 Grade 70 Sheets & Plates suppliers, we carry the largest stock of carbon steel sheets & plates products that available in different sizes, shapes, and forms. Due to its amazing ASTM A516 Grade 70 Properties is an excellent choice for service in lower than ambient temperature applications. Furthermore, ASTM A516 specification steel is used throughout the oil and gas, chemical and power generation industry and can be tested to exceed your specified requirements. Our ASME SA516 Grade 60 Sheets & Plates come with mill certification in accordance with EN10204 3.1 or EN10204 3.2. It includes Contact us today, our sales engineers and procurement specialists are available to advise on the best solution to suit your needs. Specifications for A516 Grade 60 and 70 Sheets & Plates. If any specification is not mentioned here, please use the contact button for quick quote. Contact us or click on request a quote button to get our competitive prices for A516 Grade 60 and 70 Sheets & Plates. Aspirinox Alloys INC maintain the large inventory of high-quality A516 Grade 60 and 70 Sheets & Plates for sale to our clients throughout globally.